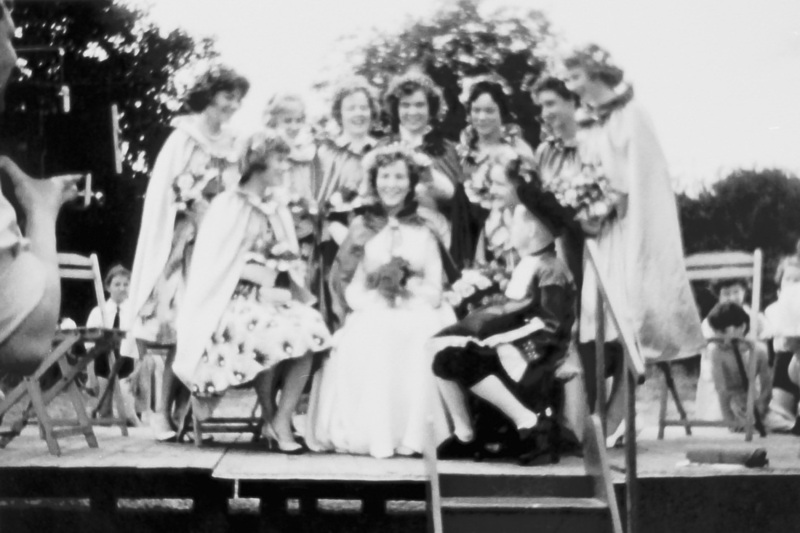 The Revels is a yearly event held approximately on the third Saturday in June and takes place on The Green. The location is an area in front of Little Gillions, the main arena is the site of the original 'Old Boys' school cricket pitch. © 1. 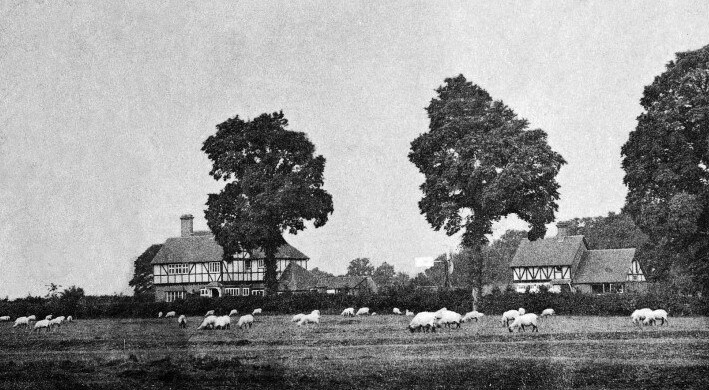 Little Gillions c1900 is on the left when sheep safely grazed! 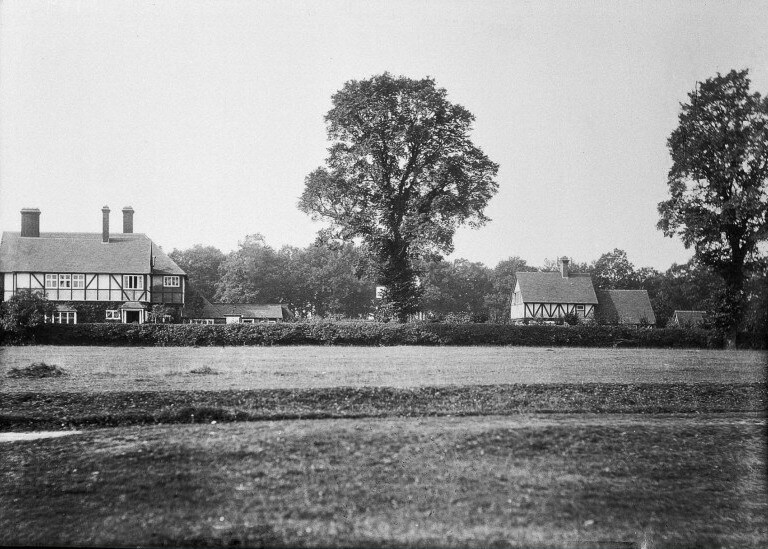 This area of The Green was to become the setting where the village began celebrating May Day and recorded in the Yorke Road school log book the children were given the day off. 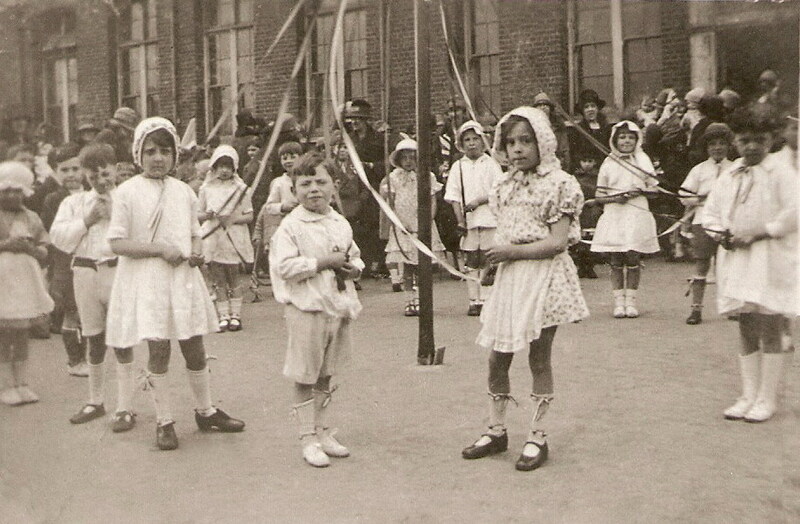 The celebrations eventually led to the older girls given extra time off from school to collect May blossom (hawthorn) in order to make garlands. 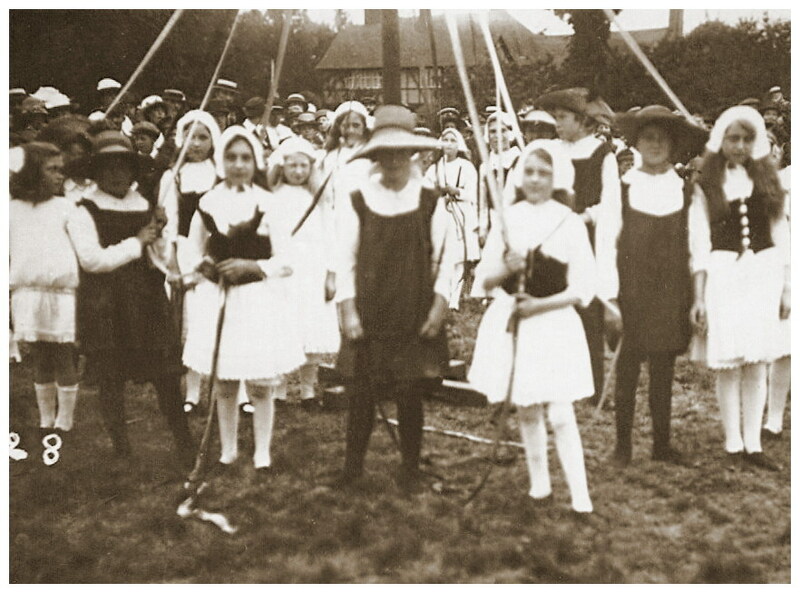 A senior girl was chosen as a 'May Queen', and all the pupils paraded to The Green, and chosen pupils danced in traditional style around a maypole. This was to become a traditional event for many decades. 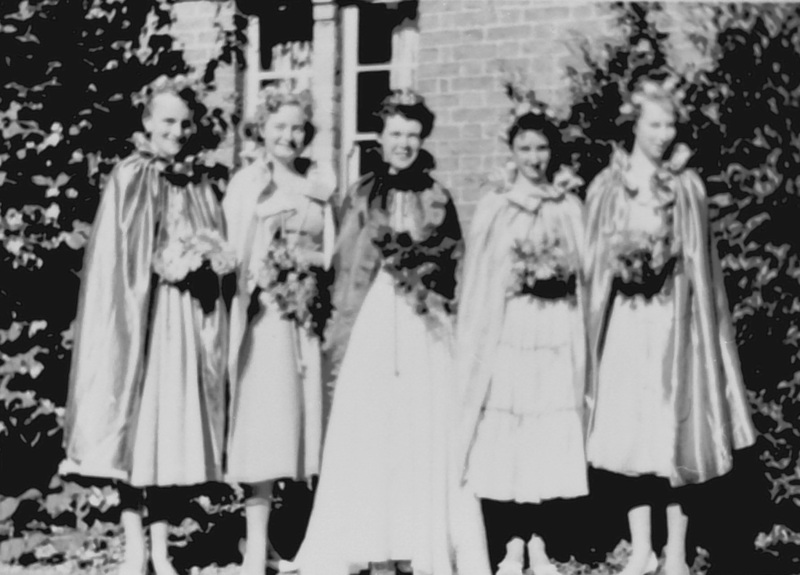 The names of 'May Queens' were listed in the school log book from 1920-1946. It is not clear if they started before or continued from these dates. 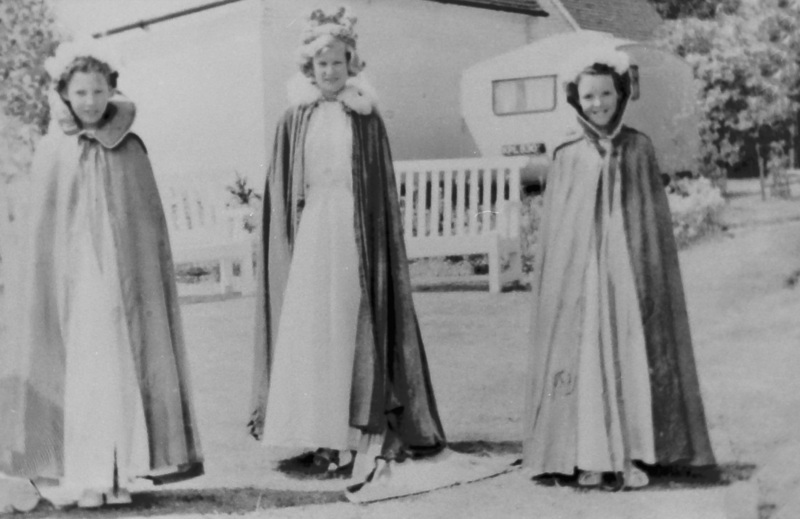 The village began celebrating national events from as early as Queen Victoria's reign. During the 1930's large areas of original farmland were under development and house construction began on a large scale. This was a period when two important national celebrations occurred. These were the 1935 Jubilee of King George V and the Coronation of King IV in 1937. The new residents very soon integrated with long established families when they produced celebrations for these on a very grand scale. It was from these two particular events that in 1938 a group of residents discussed how to unite and combine all the existing and newly formed groups to the village into a society. This was achieved by, Chairman Major J E Payton, Hon. Treasurer, Miss May Barton- Smith, Hon. Secretary, Mr. J.E. Allen. 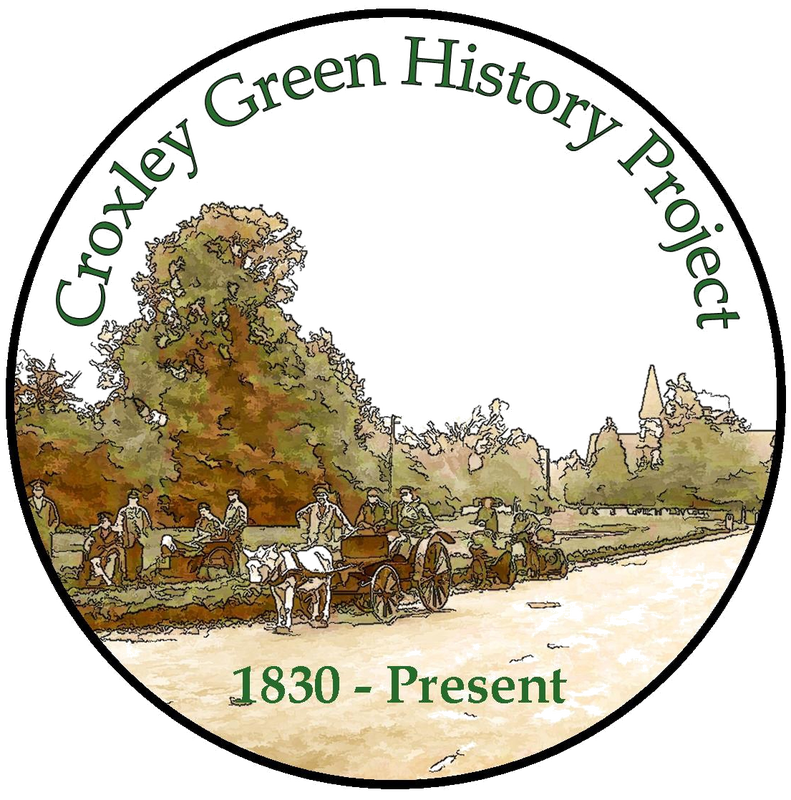 The idea was received with enthusiasm and the Croxley Green Society was formed in 1939. Initially there were twenty eight affiliated groups. The same year as the society was founded Great Britain entered into WW2. 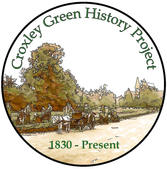 As soon as the war ended and peace was declared residents had to come to terms with many dramatic changes but the village soon rallied and the task of celebrating with Peace Celebrations were held once more on The Green. 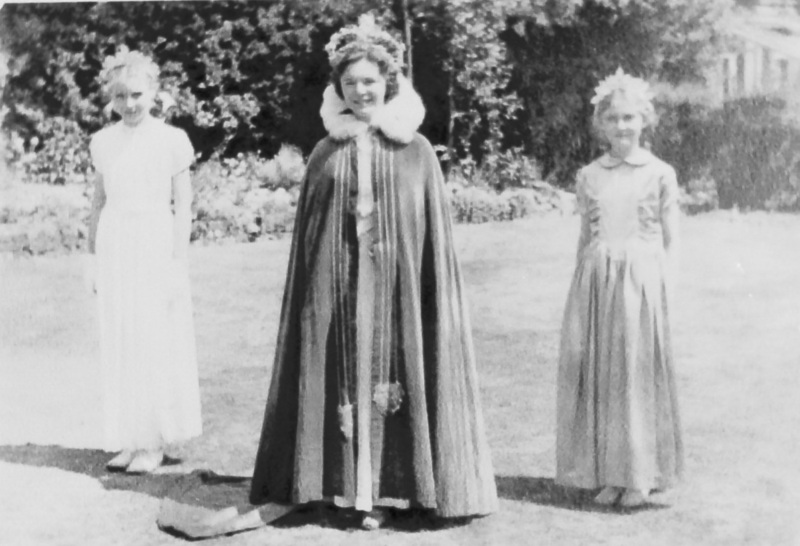 The Croxley Green Society continued to flourish and organised The Festival of Britain celebrations in 1951 and the coronation of Queen Elizabeth II in 1953. The many changes that had occurred as a result of the war with the increase in households and schools resulted in a decision to replace the May Day celebrations. It was decided to hold an event approximately the third Saturday in June and call it The Revels. Representatives from the affiliated groups were sought to arrange this and a separate committee was formed to organise the event. There has been very little change to the program over the years. The day starts with many of the societies arriving to set up their stalls, eager to entertain as well as to increase their funds through a variety of activities. The traditional parade leaves The Green with colourful decorated floats usually with a pre- decided theme. This will tour many of the immediate roads/streets later to return to The Green. 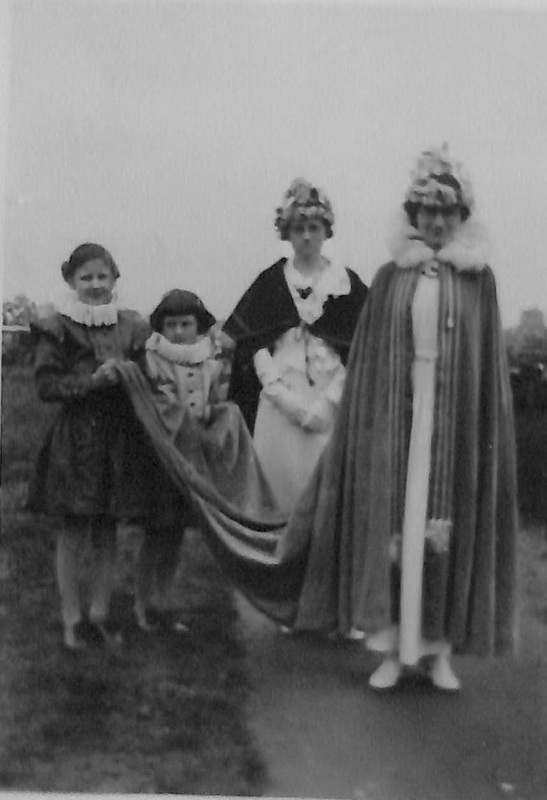 A 'May Queen' now a 'Princess', her attendants and a Page is chosen from the Junior schools. During the afternoon events in the arena entertains the crowd, with a wide selection of representatives - young and old to show off their skills including dancing around the maypole. This tradition was transferred to the Brownies. 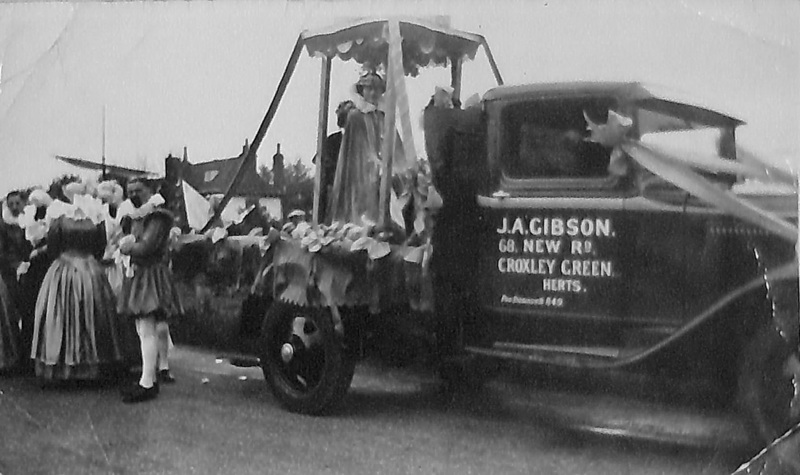 The Croxley Green Society in recent years no longer meet, but the Revels Committee continue to organise the event. 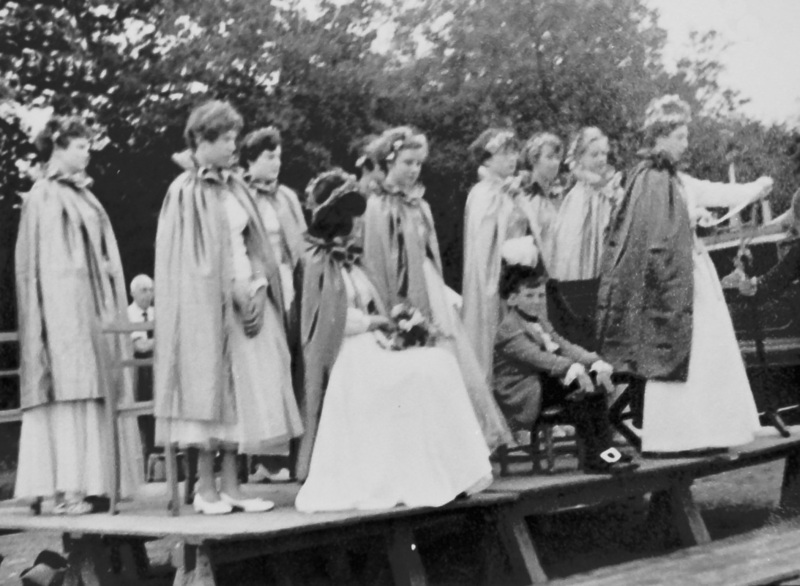 The popularity of The Revels is such that on a good 'British Summer's Day' the attendance is estimated between 5-10,000 people. The event is still seen as a traditional village occasion and is looked upon as 'one not to be missed' and brings in crowds from far and wide. In recent years the finale, instead of a 'tug of war' is a unique game of 'Push Ball' between participating local Junior Schools.